It is indeed challenging to meet the Best Management Practices set by the Environmental Protection Agency (EPA). It is very remarkable thing for the environment to minimize storm water runoff and recharge groundwater on a regional and local basis. Pervious concrete pavement is a special way to meet the growing environmental demands. The innovative pavement technology develops an efficient system of land use by hindering the need for building ponds, and other storm water management devices. The porous concrete and pavement solutions are a cost-effective way of managing storm water. Because of the characteristics and advantage of the porous concrete, it has been used in many different applications. However, before using the solution, the design and construction details must be well planned. It is common to see porous concrete and pavement solutions used in Residential roads, low-volume pavements, Parking lots, Sidewalks and pathways, Patios, Well linings, alleys, and driveways, Tennis courts, Artificial Reefs, foundations for greenhouses and fish hatcheries. 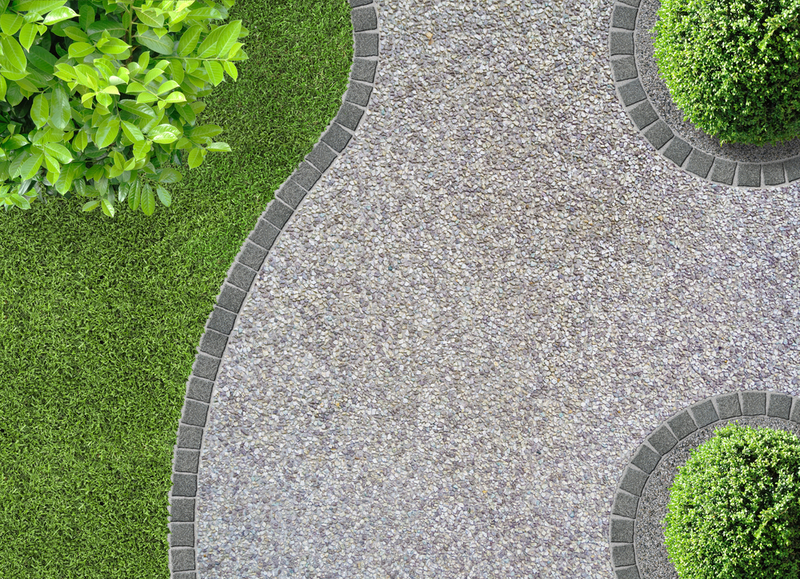 Pervious concrete or porous concrete is different from the usual concrete but is not difficult to place. However, it requires appropriate construction techniques and application procedures. Due to its relatively stiff consistency, it demands special handling and placement requirements. The vibrating screed is important for optimum density and strength. The material is compacted with a steel pipe roller after screening. When finishing pervious concrete, there should be no use of darbies, bullfloats, and trowels used. Some porous concrete and pavement solutions are made with joints and some without. If using joints, they are formed right after consolidation or mounted with the help of conventional sawing apparatus. The curing must start immediately after placement and with the help of plastic sheeting. The process of curing must go on for at least a week. Careful engineering and planning can ensure structural adequacy, minimum clogging potential and impressive hydraulic performance in the porous concrete. As mentioned earlier, porous concrete pavement work as a valuable storm water management device. Impervious pavements tend to collect oil, contaminants, and other automobile fluids that run off and get washed into rivers, streams, and oceans. EPA Storm Water regulations place a limit to the pollution in the fresh water systems. The solution lies in curbing the overall runoff and minimizes the level of pollution in the runoff. Porous concrete and pavement solutions prove to be very effective in this direction as they not only reduce the runoff but also decrease pollution in the runoff. The porous concrete allows the polluted water to be treated naturally and the rainfall that is percolated into the ground. As a result, there is minimum storm water retention which increases the land use. Furthermore, groundwater and aquifer recharge is increased as the filtered water reaches them through the porous channels. Another essential advantage of porous concrete and pavement solutions is the growing interest in sustainable construction. As the porous concrete controls storm water and prevents pollution, it carries the potential to be seen as sustainable construction for environmental protection. The lighter colour and the relatively open pore structure of the porous concrete pavements help to limit heat absorption, especially in urban areas. Trees planted along the pavement and in the parking lot can further add to the cooling effect. To conclude the discussion, porous concrete and pavement are indeed a very useful effective means to meet the growing environmental demands and keep our buildings and pavements sustainable. Always ensure the best practices when working with porous concrete and let a professional handle the task competently and perfectly.